It’s amazing how a before and after can really show the difference in updating and refreshing your look. 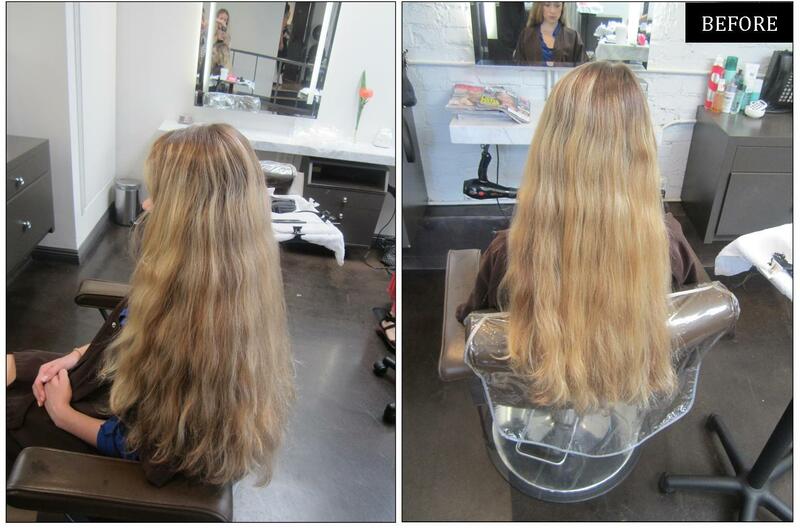 Done by colorist Lauren Ashley, who is quickly becoming the go-to for the California, honey blonde shade. This entry was posted in Blonde, Hair Color, Hairstyles, Long, Makeover, Products and tagged best colorist, best colorist for blonde hair, blonde hair color ideas, blonde highlights, california hair, fall hair trends, hair makeover, honey blonde hair color, lauren ashley, long hair, long hairstyles, natural highlights. Bookmark the permalink. WOW!! This is the Perfect Blond!!! Great Job!!! I wish I could go get my hair done there!! What products did you use to get her hair so smooth? Apply Neil George Indian Gooseberry Oil on damp hair before blow drying-it will tame the frizz and flyaways.